As poppy seed tea is increasing in popularity, it is extremely important to inform people about the main aspects of this powerful tea. This includes informing people about the Benefits of Poppy Seed Tea, and the Negatives. All of the effects should be studied and taken into consideration prior to consuming poppy seed tea. This is a list of the main Poppy Seed Tea Negatives. These poppy tea negatives impact both poppy seed tea and poppy pod tea consumers. It is important to remember that Poppy Tea Negative effects can outweigh the benefits for some tea drinkers. This guide was created to help inform community members of the primary negative effects that can potentially be experienced after consuming poppy seed tea. Every individual is unique, and I do not have the time or brain power available to list every single poppy seed tea negative that may potentially occur. I have focused on a few of the most serious drawbacks, and you can contact a medical professional for personalized advice. One of the main negatives to using poppy tea regularly is the potential for ti to become habit forming. Tea drinkers can increase their chances of avoiding this outcome by abstaining from this beverage, consuming minimal amounts, and drinking it infrequently. Many substances have the risk to become habit-forming, but the alkaloids present in some poppy seeds can be highly addictive. Many compare this addiction to poppy seed tea to other opiates. Read my List of the Strongest Poppy Seeds to discover which seeds are the have the strongest flavor. Another one of the poppy seed tea negatives that is related to the habit-forming nature of some seed strains is the potential for withdrawal. Needless to say, the withdrawal from poppy seed tea if you get addicted is not pleasant. 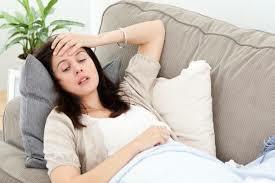 These withdrawal symptoms may include restless legs, insomnia, diarrhea, anxiety, cravings, and lethargy. The timetable for withdrawal varies widely and is dependent on several factors. Most individuals have reported that the physical withdrawal symptoms usually dissipate after 4-10 days, but psychological dependence may last for months. The withdrawal from poppy seed tea can be considered worse than other opiates due to the different alkaloids present in the tea. You can read more about opiate withdrawal symptoms on this external website. The side effects for poppy seed tea have a tendency to increase with dosage. These negative side effects include: feeling drowsy or sleepy, constipation (as with all opiates), urinary retention, slow breathing, and possible nausea. The nausea could possibly be due to noscapine, and this negative effect is usually more common with first time uses. Consuming poppy seed tea in high amounts can lead to worse poppy seed tea negatives. It even has the potential to be fatal. Most fatalities that have been reported involved other prescription medications as well. Prescription medications have the potential to interact with any herbal teas, but poppy seed tea interactions are especially dangerous. Never consume this tea with prescription medications without consulting your doctor. Avoid consuming with all depressants such as anxiety meds and other pain meds. The deaths are often caused via respiratory depression or heart failure. I hope that this guide has helped you familiarize yourself with the poppy seed tea negatives. It is each individual’s choice whether or not to partake in poppy seed tea. 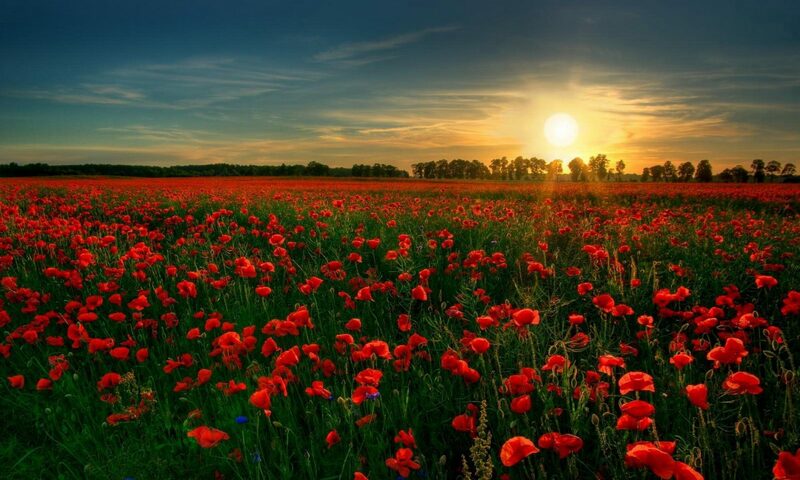 It is best for everyone to know all of the positives and negatives of poppy tea before trying it. Click here for a list of the positive effects. Do you know of other negatives that weren’t listed above? Please feel free to list them in the comments section. Sharing with the community is a great way to make it grow as a valuable resource! Poppy Seed Tea Negatives - There are several positives and negatives with poppy tea. 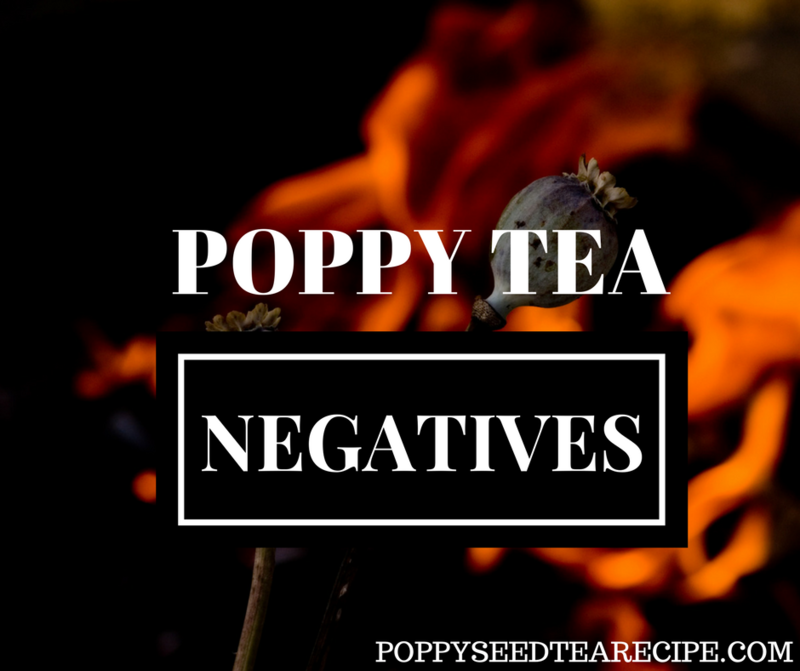 This list includes the poppy tea negatives for poppy seed tea users.